I absolutely love when I find makeup gadgets that make my life a whole lot easier. 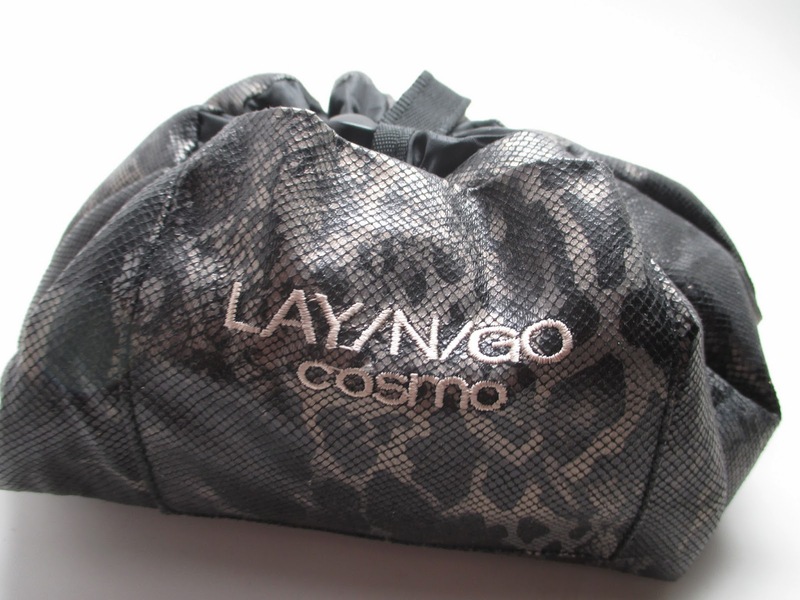 I stumbled across this product called Cosmo Lay and Go when I was at IMATS LA at the Alcone Booth. 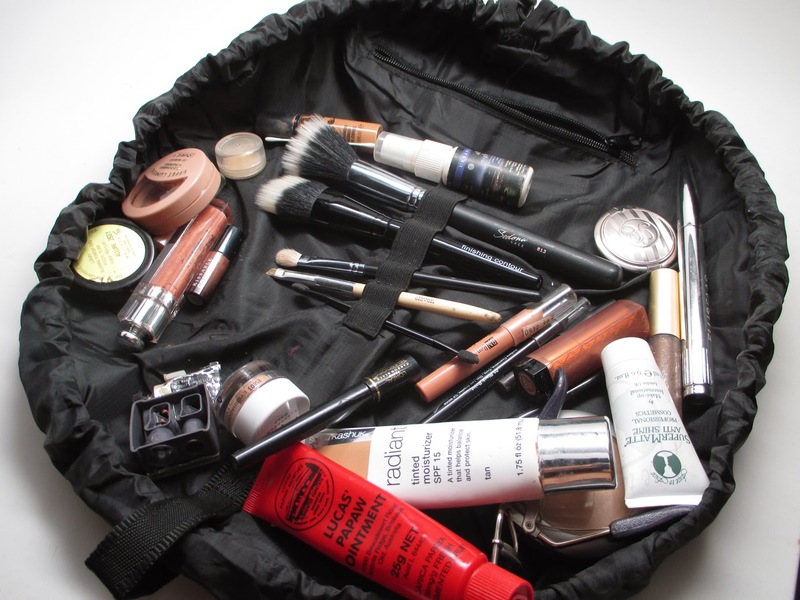 The idea is simple...lay your makeup out on this bag, then snap it up and go! This is great for those of you who do makeup on the go or hate clearing up makeup mess. Check it out! Here's a shot of the bag open. Essentially it lays out flat in a round shape. You can store tons of makeup in there. This is actual makeup that I packed for a business trip - it's got room for everything I need. I lay this out on the counter when I need to do my makeup and all the product stays in the inner area of the bag. 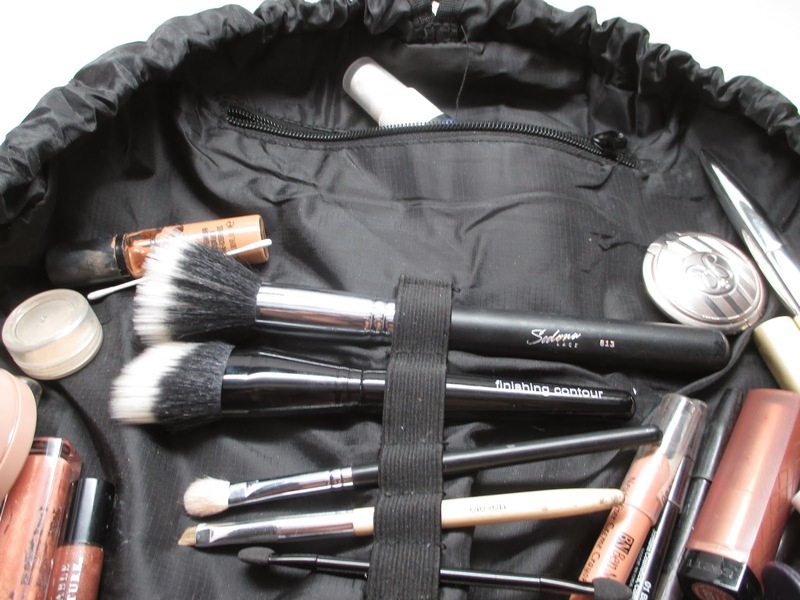 As you can see, the bag even contains little elastic straps for your brushes. I packed just a few essentials considering this is more of a makeup on the go container. It also has a zippered pocket on the inside. You can closely o the rim, in the puckered edges is a draw string that holds the bag together. When you're done with the bag, simply tighten the draw string that is looped on the outer edge of the bag. 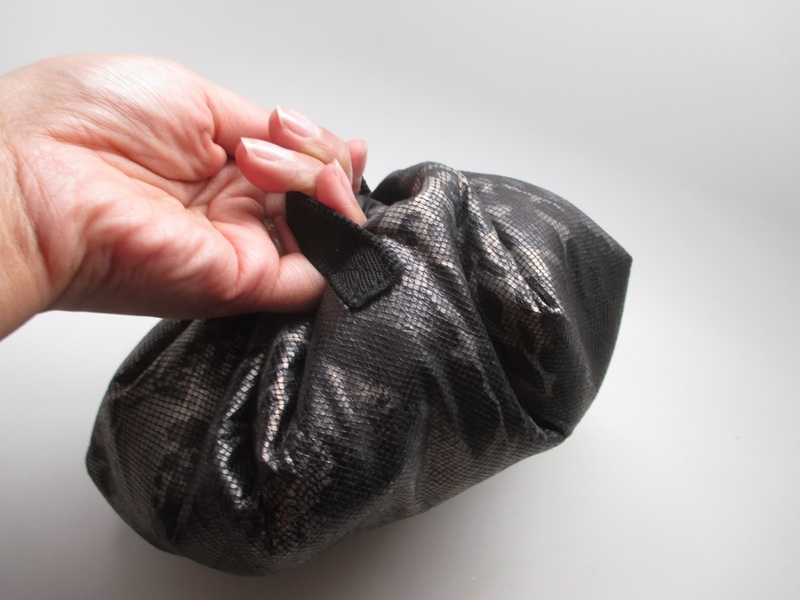 It compresses everything into this small little sack that you can tote around by the handle. This is great if you're doing your makeup in random spaces...at work, hotel, your friend's house. Just lay everything out and then pull the drawstring and go! I'm all for less clean-up. FTC Disclosure: Product was gifted to me but I am not being paid to write this post. These are my honest thoughts and opinions. That is one handy, adorable, little bag that I desperately need to buy.